The clubladder is free for players, the club pays a yearly fee. 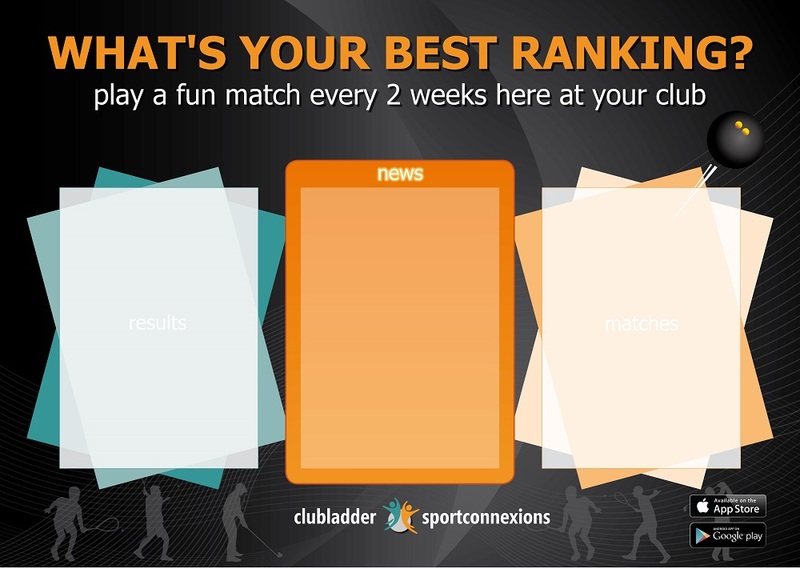 A free trial season is available for clubs with a minimum of 300 members. A maximum of 1 discount applies per clubladder. A minimum of 50ct per played match applies to ladders with more than 100 players. Prices exclude VAT / sales tax. Service fees are paid every 12 months up front after the free trial. A club may terminate the service at any point in time. Details of the terms and conditions are described here. An exclusive design ladder board is available for €50. This A1 size ladder board contains 3 A4 poster holders to place the bi-weekly posters with upcoming matches, match results and news.